The conference room is often the professional mecca of the workplace. 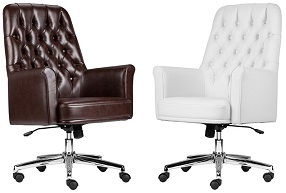 As the location where you gather for important clients and top-level meetings, you want your conference room to look sleek and executive--which requires top-quality chairs. 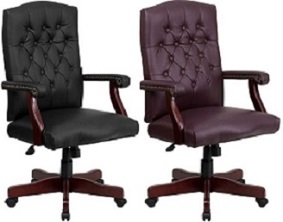 At Office-Chairs-Discount.com we are able to offer you the widest selection and the best prices on premium conference chairs. 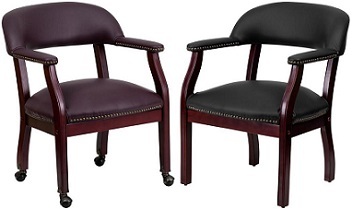 Depending on the overall look of your conference room, you could choose either armchairs or swivel chairs to complement your conference table. Armchairs generally provide a bit of a more traditional, sleek feel to the conference room while swivel chairs fit well in a modern, high-tech environment. 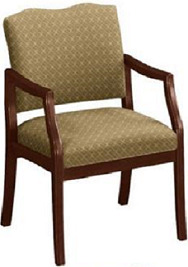 Armchairs are available with or without casters, and almost all swivel chairs come on rolling casters. 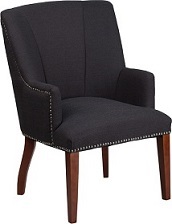 You also need to consider the comfort of your guests and employees when considering conference chairs. These chairs should not only look great but offer a high level of comfort (as participants will often remain seated for hours). A combination of both wood and fabric or leather often fit well in the conference room environment. 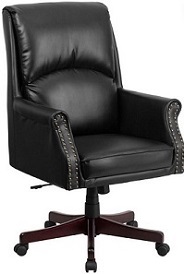 At Office-Chairs-Discount.com we can help you get set up with the perfect conference chairs for your office. We also offer conference tables and full conference room sets for your convenience. You are ensured great savings when you purchase from us. You can also take advantage of our commercial discounts by purchasing in bulk. If you are having trouble choosing a particular color scheme for your furniture, we'll be glad to send you upholstery samples. Pick up the phone and contact us today to talk to a member of our friendly customer service team.